Lake Jovita Golf and Country Club is a gated active lifestyle community in Dade City, Florida. Homebuyers can choose from new and resale single-family homes. Located 40 miles from Tampa Bay, the surrounding area offers a multitude of shopping, dining, and entertainment. 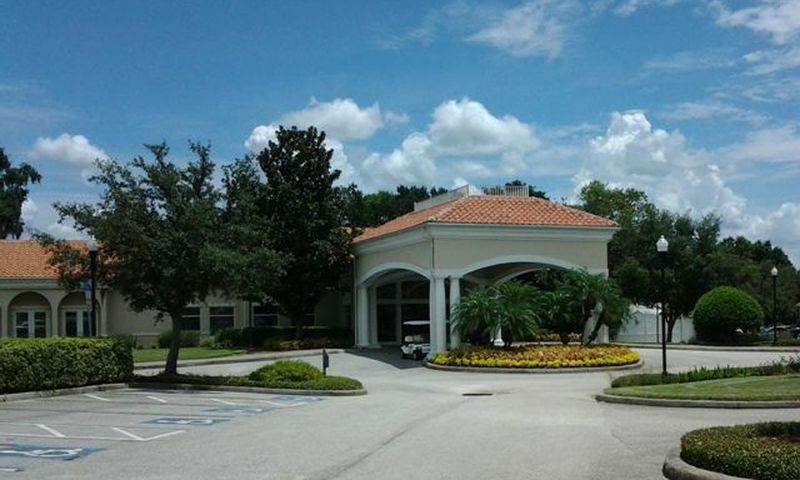 Residents enjoy the great amenities and location offered in Lake Jovita Golf and Country Club. While a membership to the golf club is not required to live within the community, a membership is required to use the amenities at Lake Jovita Golf and Country Club. Lake Jovita Golf and Country Club offers some of the best amenities in the area to its members. There are multiple membership options to suit the needs of all potential members. Members enjoy the great country club amenities in the clubhouse such as a state-of-the-art fitness center, grand dining room and multi-purpose room. After a round of golf members can grab a drink in the Grille Room. The amenities continue outdoors with a junior Olympic-size swimming pool. Members can relax poolside on the veranda as well. There are four Har-Tru tennis courts and 36-holes of golf to keep the residents busy. There is also a 15-acre golf practice facility that offers a one-acre putting green, bunkers and chipping area as well as a separate practice area for private lessons. Residents can enjoy leisurely strolls through the community using the miles of walking and biking trails. No matter what your interests are there is surely something for everyone at Lake Jovita Golf and Country Club. Started in 1999, Lake Jovita Golf and Country Club is slated to have 875 homes. Homebuyers can choose between new and resale single-family homes. Those looking to build a new home can choose between three preferred builders, Cross Vine Homes, DR Horton and Inland Homes as well as custom home builder Arthur Rutenberg. Inland Homes offers seven single-family models ranging from 2,104 to 2,831 square feet of living space. They have three to four bedrooms, two or three bathrooms, and an attached three-car garage. Homeowners enjoy the over-sized master suites and private bathrooms. A screened-in lanai provides a great place to relax or entertain guests. DR Horton offers homebuyers four floor plans that range in size from 1,641 to 2,304 square feet with two or three bedrooms, two bathrooms, and attached two-car garages. All homes feature first-floor master suites with generous owner's suites, walk-in closets, and ample outdoor living space. Cross Vine Homes offers a variety of elegant single-family homes ranging from 2,566 to 3,707 square feet. They have three to five bedrooms, two-and-a-half to four-and-a-half bathrooms, and an attached two or three-car garage. While some models are two-story homes most have first-floor master suites. Many models offer second-floor lofts with storage space. These models also have great features such as open floor plans and screened-in lanais. Arthur Rutenberg Homes also builds single-family homes in Lake Jovita Golf and Country Club that offers plenty of living space. They range from 2,601 to 3,618 square feet and have four bedrooms, a den, three or three-and-a-half bathrooms, and a three-car garage. They have optional features like private pools and spas for a more luxurious design. The lifestyle within Lake Jovita Golf and Country Club is second to none. Members enjoy a full calendar of clubs and activities in the community. Tennis and golf tournaments are planned between club members as well as pro-am tournaments. Members also enjoy the many parties that are held in the clubhouse. Some of the activities include aqua aerobics, studio cycling, fitness programs, tennis socials, swimming, and community events. Located in Dade City, FL just 40 miles north of Tampa, residents of Lake Jovita Golf and Country Club enjoy endless opportunities for shopping, dining, and entertainment. Nature lovers enjoy the many state parks located close to the community and can utilize the miles of walking and biking trails. The Gulf Coast is just 30 miles west and residents often plan day trips to the beautiful beaches in the area. Tampa Bay offers a myriad of entertainment and easy transportation with the Tampa International Airport. With a beautiful climate and so much to do its easy to see why so many active adults flock to Lake Jovita Golf and Country Club in Pasco County, Florida. There are plenty of activities available in Lake Jovita Golf and Country Club. Here is a sample of some of the clubs, activities and classes offered here. Lake Jovita Golf and Country Club has luxurious villas that offer 1,734 square feet of living space. They have three bedrooms, two bathrooms, and an attached one-car garage. Please Note: Floor plans are not available at this time. Inland Homes offers single-family models ranging from 2,104 to 2,831 square feet of living space. They have three to four bedrooms, two or three bathrooms, and an attached three-car garage. Homeowners enjoy the oversized master suites and private bathrooms. A screened-in lanai provides a great place to relax or entertain guests. Cross Vine Homes offers single-family homes ranging from 2,566 to 3,707 square feet. They have three to five bedrooms, two-and-a-half to four-and-a-half bathrooms, and an attached two or three-car garage. While some models are two-story homes most have first-floor master suites. Many models offer second-floor lofts with storage space. These models also have great features such as open floor plans and screened-in lanais. These single-family homes built by Arthur Rutenberg Homes offer plenty of space. They range from 2,601 to 3,618 square feet and have four bedrooms, a den, three or three-and-a-half bathrooms, and a three-car garage. They have optional features like private pools and spas for a more luxurious design. We are in the Parkside section of Lake Jovita and absolutely love our home. The views are outstanding, the quality of the workmanship is excellent and the neighborhood is wonderful. We've got a huge patio and great golf course views too. It's great having nice amenities available to use any time we want like the pool, tennis and the gym. We golf a lot too so the membership costs really give us a lot for our money. It feels like we're on vacation every day! 55places.com is not affiliated with the developer(s) or homeowners association of Lake Jovita Golf and Country Club. The information you submit is distributed to a 55places.com Partner Agent, who is a licensed real estate agent. The information regarding Lake Jovita Golf and Country Club has not been verified or approved by the developer or homeowners association. Please verify all information prior to purchasing. 55places.com is not responsible for any errors regarding the information displayed on this website.